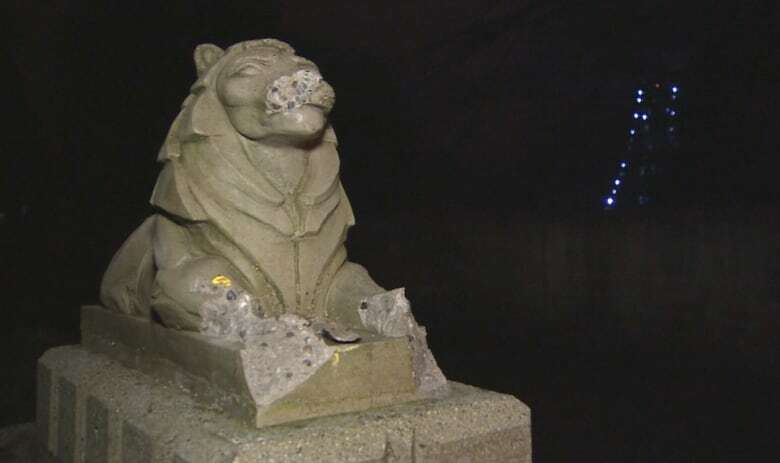 Vancouver police are investigating and the park board is making repair plans after it was discovered that two of Stanley Park's iconic lions statues were vandalized — again. Last night, a concerned citizen brought it to the city's attention that two of four small lions that guard the overpass above the causeway leading to the bridge had been disfigured. Vancouver-West End MLA Spencer Chandra Herbert tweeted a photo of some of the damage to the City of Vancouver. In a later tweet, he called the apparent act of vandalism "senseless" and "stupid." 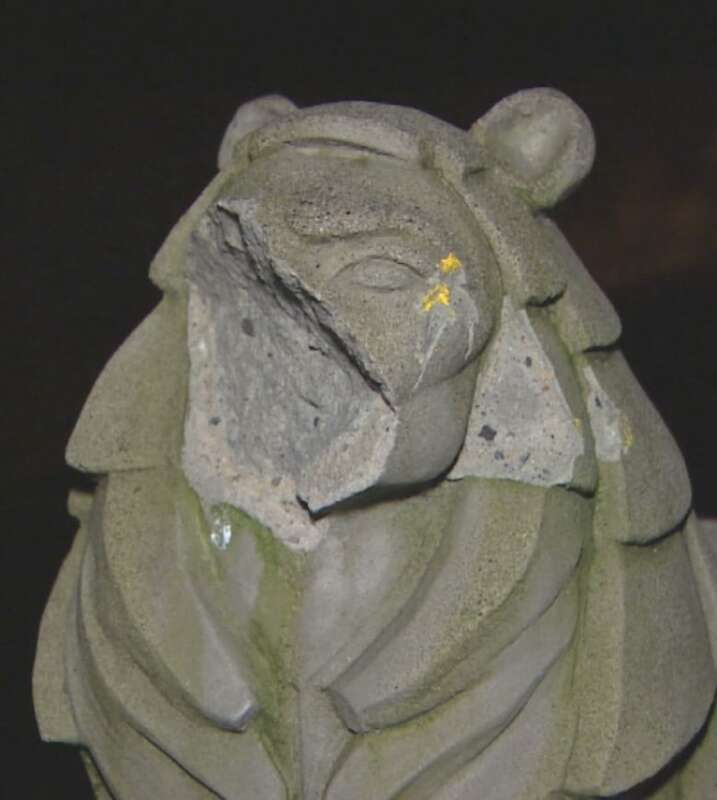 One lion statue had its face almost completely smashed off, the other shows obvious damage to its nose and paws. Park Board commissioner John Coupar said the situation is disappointing. "Well, it's a random act and an unfortunate act, and it's just one of those things that shouldn't happen that does happen," he told CBC News. "We're all saddened by it, but we'll do our best to make it right." Coupar said it isn't yet clear how much the repairs will cost or how long they will take. Vancouver police Sgt. Randy Fincham said investigators are going to work with the park board to find those responsible "for taking the roar out of these two lions." Photos taken in January 2010 show that at least two of the four lions statues have been damaged before. The four smaller lion statues are located on Stanley Park Drive near Prospect Point, where the road becomes an overpass over the causeway. The overpass overlooks the south end of the Lions Gate Bridge, where two larger and more famous lion statues by sculptor Charles Marega guard the entrance to the North Shore.